Undercover Canopy scores again with the innovative Curtain Rail Suspension System (CRS)! The CRS wire attaches to your canopy frame in minutes, using only a pair of pliers. Once installed, the system adds even greater stability and versatility to each of the four heavy duty, 150-denier polyester sidewalls included in this great-value package. 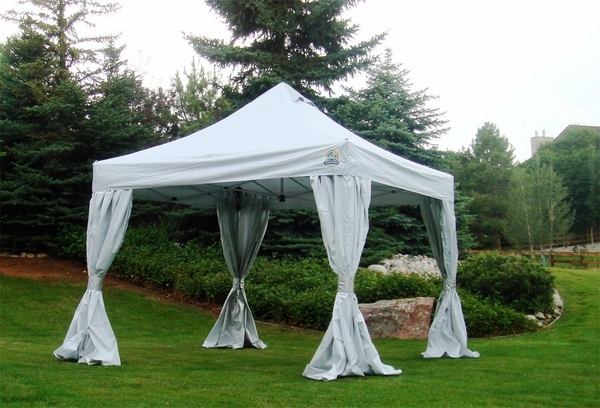 Give yourself the most in privacy, security and durability by choosing this amazing Undercover accessory kit, made exclusively with the Undercover 10' x 10' Super Lightweight Commercial Aluminum Popup Shade Canopy and the Undercover 10 x 10 Professional-Grade Aluminum Popup Shade Canopy. * Please Note: This product includes four sidewalls and Curtain Rail System only. Canopy frame and cover sold separately. 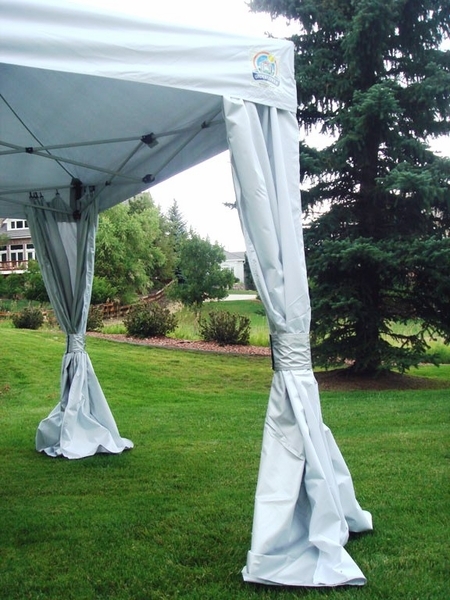 This product requires installation of the CRS-Wire frame assembly to the canopy frame, using a pair of pliers (not included) and basic assembly skills. 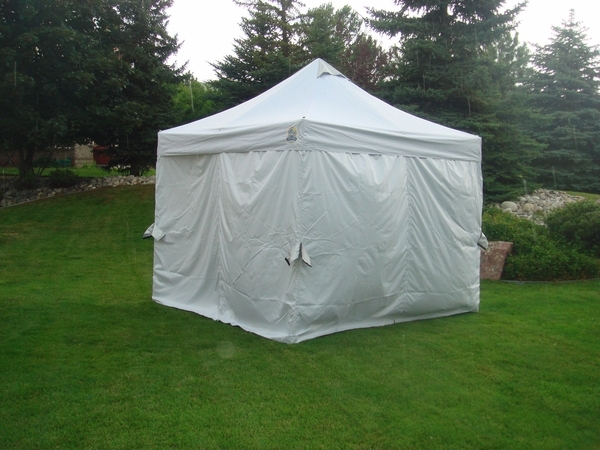 Can you use the CRS sidewall system on an EZ up 10' x 10' tent? If so, how do you attach the wires? No, the CRS walls are for the Under Cover brand canopy only. Is this wall set a better quality than the polyethylene set? Yes, these walls are made of a better and thicker material than the polyethylene walls. How is the wire rail installed? For installation of this item, please view the first image (video) under the picture on the item page. Are these walls a loose fit for the canopy? What can I do to get tighter walls? There is a bit of extra material in this type of wall. 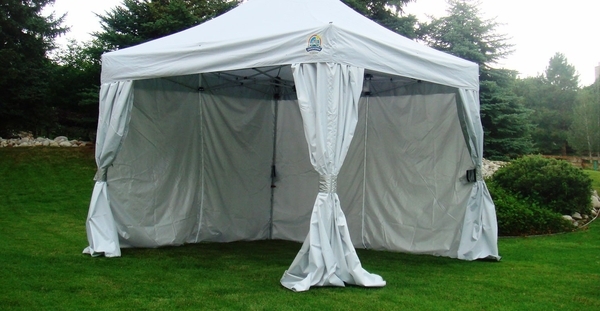 If you need a tighter fitting wall, I recommend the Undercover 10 Foot Zippered Poly Sidewall - Set of Four.. I am more than pleased with this purchase. The new innovations male it even better than I expected. I am impressed with the canopy and the side walls. Very easy to use and look very nice when sidewalls are put on. Looks great, on my undercover canopy. Got many compliments on sidewalls, enhances my jewelry and the display, to look very professional. ProsI like it, because I can install it my self, and very easy to do. I'm happy I went with getting the extra sidewall kit - nice thick polyester material. You can just feel the quality. Easy to put together. You just cant go wrong with this.